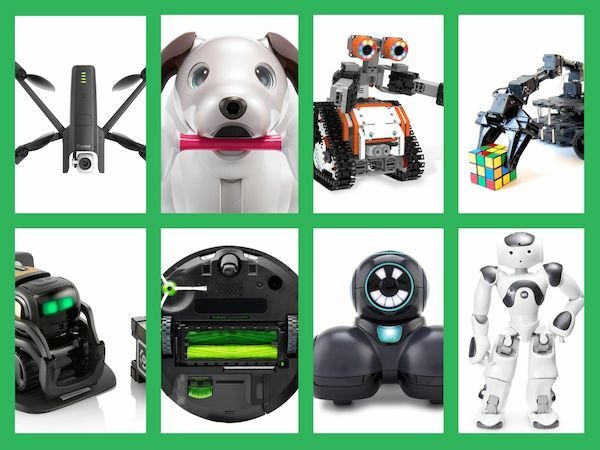 SpotMini is a compact, nimble four-legged robot that can trot around your office, home, or outdoors. 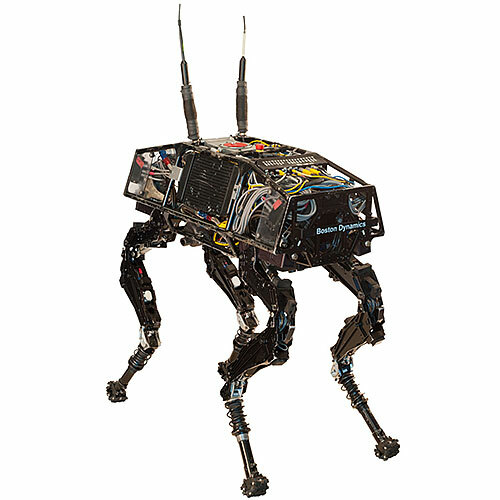 It can map its environment, sense and avoid obstacles, climb stairs, and open doors. It can also fetch you a drink. 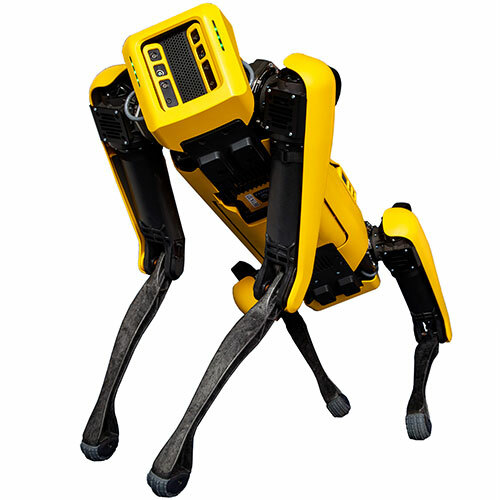 SpotMini uses a manipulator arm to grasp objects. Testing SpotMini's ability to adjust to disturbances. 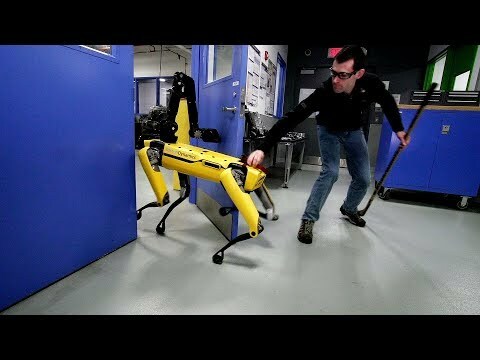 SpotMini autonomously navigates an office. Two SpotMinis collaborate to open a door. 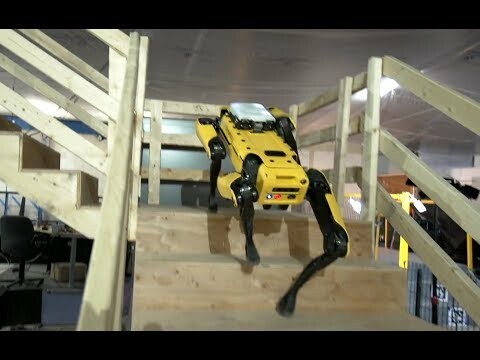 SpotMini goes down stairs by walking backwards. 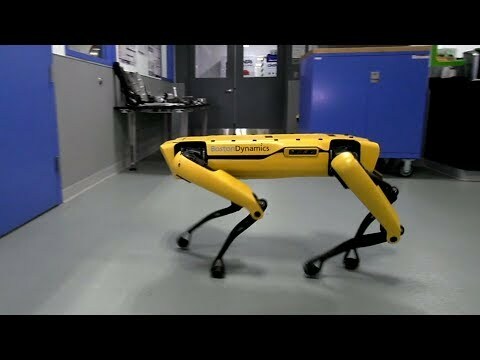 Boston Dynamics says it will be manufacturing 1,000 SpotMinis per year by mid-2019. 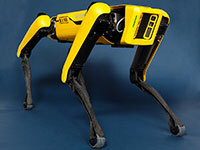 SpotMini has a variety of fancy footwork and gaits, such as crawling, walking, trotting, and pacing. 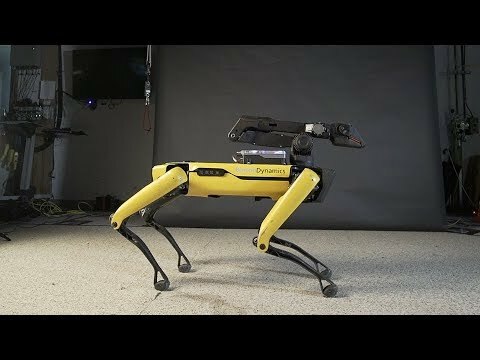 SpotMini can stabilize its arm-head, while shaking its body around—a move inspired by chickens. In a video, SpotMini is seen slipping on a banana peel. But don't worry: It didn't get damaged, and it can get up on its own. 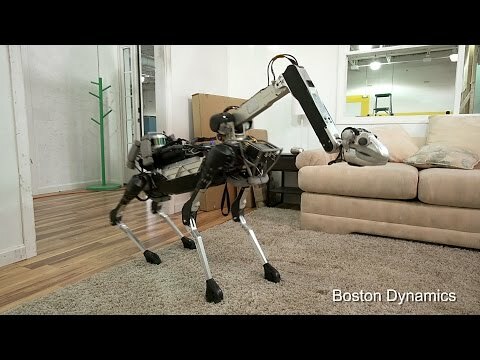 SpotMini is not completely quiet, but it is one of the quietest robots Boston Dynamics has ever built. Mobile manipulation. 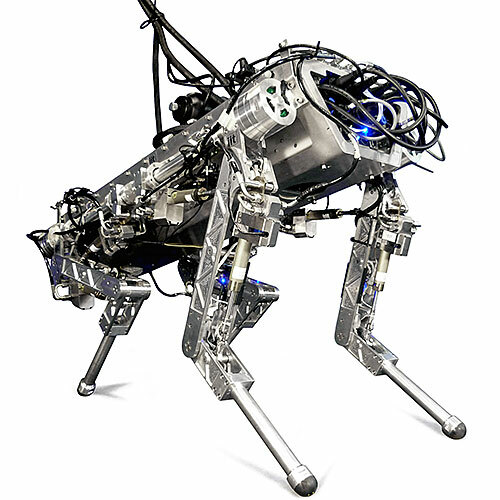 Capable of handling up to 14 kg payloads. 3D vision system with SLAM and obstacle avoidance. 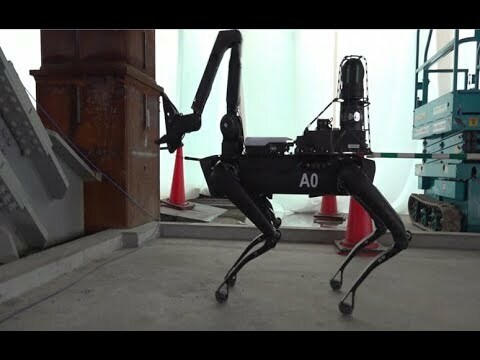 Omni-directional walking and multiple walking and trotting gaits. Can climb and descend stairs. Bioinspired dynamic control. Balances and adjusts to physical disturbances. 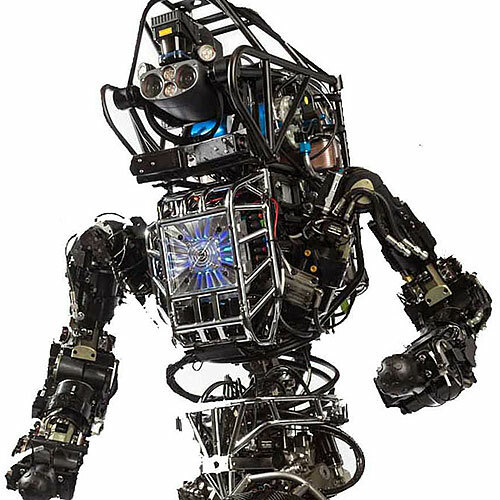 Remote controlled by a human operator while also being able to navigate and perform some tasks autonomously. 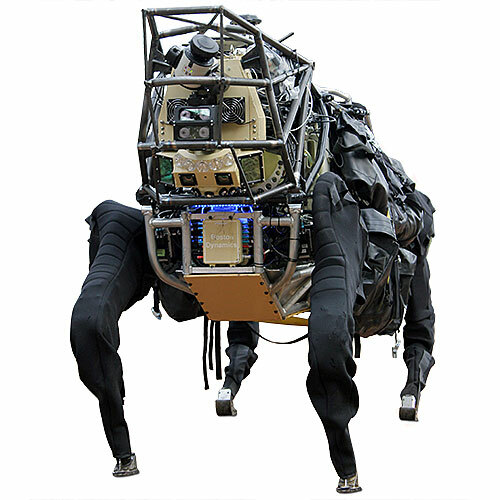 Perception sensors including stereo and depth cameras, IMU, and position/force sensors in limbs. Custom control and computing system. Additional compute module can be mounted on top.